John Driver is Chairman and CEO at LynxTechnology. Today I’m proud to announce our entrance into the Smart Home market with our new product, SmartLynx. If you know Lynx, our beginnings go back to a company called PacketVideo. PacketVideo began with a mission to watch live TV on a feature phone, way back in 1998. Since then the company has evolved into Lynx, and our focus has been on connected home use cases around photos, videos and music. We have become extremely adept in providing robust and reliable media sharing solutions to consumer electronics manufacturers and service providers across the globe. We are somewhat invisible to the end consumer, but believe me we are there when they are beaming their favorite videos and photos to connected TVs, or playing their favorite tunes on their connected speakers. We have been providing this capability for 13 years now, and have improved and innovated it every year. However, the Connected Home is changing. It has the potential to be…smarter. I’m not saying it is becoming “self aware” like SkyNet in the old Terminator movies. I am saying that due to leaps in technology, reductions in cost, and a growing familiarity and comfort with technology by the average consumer – we are embarking on a great adventure to transform how people can live at home. Some people call this adventure the “Smart Home”. I view the Smart Home as an evolution of the Connected Home, not a replacement. After all, a Smart Home must be a connected home in order to meet its promise. What do we mean when we say Smart Home? One definition of the Smart Home is “controlling, monitoring and automating functions in the home” (yes it sounds very dry). These functions include six primary categories: Energy management and climate control systems, Security and access control systems, Lighting, window and appliance control systems, Home appliances, Audio-visual and entertainment systems and Healthcare/assisted living systems. Some might say the new connected cars are also part of the Smart Home. According to a report published by Markets and Markets in 2016, the global Smart Home market size was $47B in 2015. The Smart Home market is projected to grow to $122B by 2022. But what does it really mean to a consumer? I think the Smart Home, in order to reach the mass market, must be about freedom – not controlling, monitoring and automating. Freedom from what? Well, freedom from all of the worries that a home can bring you that keep you from doing what you really want to do with your time (which is different for everyone). Do I really want to control, monitor and automate my thermostat? Not really. I would actually like to never think about it ever again, by knowing that it is keeping every member of my family comfortable, no matter where they are in the house – while saving me money. Do I like going to every room in my house, and checking every window and every door to ensure they are locked and the shades are drawn before I leave on a trip? No I do not. Even if I do, I will inevitably doubt myself on the way to the airport that I checked every single window. I would worry. I would like that worry to go away completely. There are numerous examples that are no doubt popping up in your head of things you would like to eliminate from your list of worries and responsibilities concerning your home as well. Freedom from this, is what I believe the Smart Home has the potential to provide to consumers – someday. Why do I say someday? Because we are not there yet. 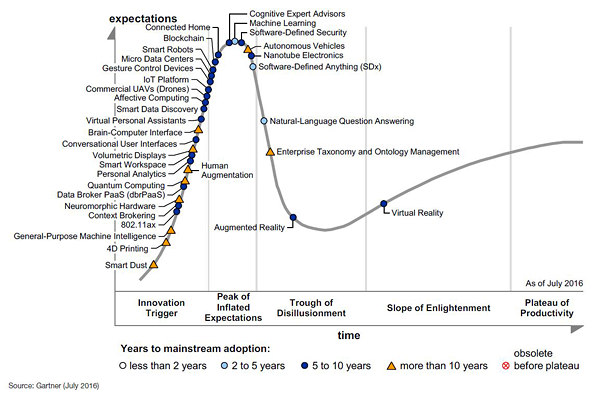 We are early in the “hype cycle”. According to the latest Gartner Emerging Technologies hype cycle, the Connected Home (which includes the Smart Home) has 5 to 10 years to go before it has a chance to gain mainstream adoption. Five to 10 years seems like a long time, and there are still some barriers to break before we reach mass adoption. 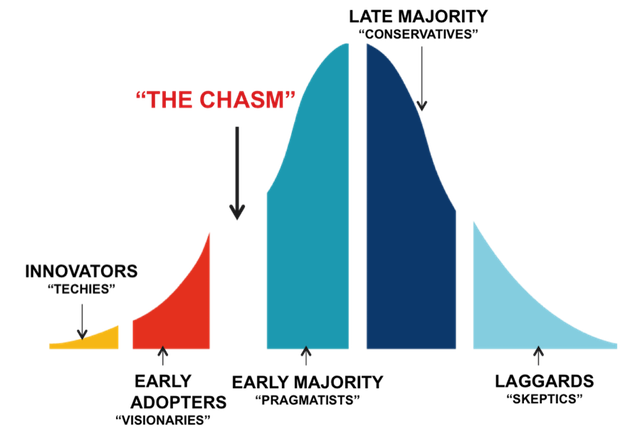 Another way to look at where we are is through the lens of Geoffrey Moore’s “Crossing the Chasm”. I think it is fair to say that the Smart Home is on the left side of the chasm somewhere on the border of “Innovators” and “Early Adopters”. The big challenge for a new technology is not to fall into the chasm, and become a footnote in history. Rather, the goal is to cross that chasm into the “Early Majority”, which gets you on your way to mass adoption – a true market where a large number of customers clearly see the value and are willing to pay - and technology providers are seeing growth in revenue and profits. 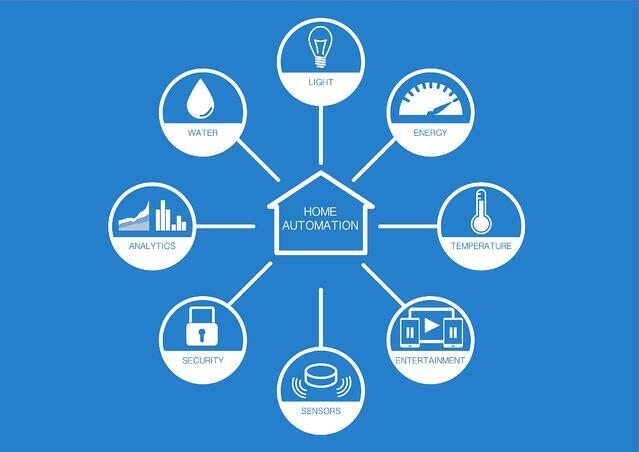 What does the Smart Home need to do in order to cross The Chasm and make it to the mass market? A recent report by BI Intelligence suggests such barriers to mass adoption as high prices, low consumer demand and long device replacement cycles (when is the last time you felt compelled to change your door locks?). However, the largest barrier cited to mass adoption is “technological fragmentation within the connected home ecosystem”. This is a fancy way of saying “we are making it too hard for smart home devices to talk to one another”. Another way to put it is there are too many networks, protocols, standards and devices – all vying for supremacy. This “Battle Royale” only makes it more confusing for the consumer to choose smart home devices and services, that will actually work together. So, the biggest barrier is Interoperability. This is where Lynx comes in. If we had a middle name, it would be Interoperability. This is what we have brought to media use cases in the connected home for years, and we intend to do the same for the Smart Home. Yes, we see The Chasm, and we have decided to go on this adventure and help the industry cross it with our expertise in getting devices and services to work together, that weren’t designed to – so the consumer can get close to attaining that freedom I alluded to earlier. Our first step on this journey is the introduction of our first Smart Home solution. It is called SmartLynx and if you are a manufacturer of, or channel for, consumer routers, gateways, STBs or NAS devices, we'd like to help you get ready for the Smart Home - right now. In the words of Ferris Bueller from the iconic 80's movie: "Life moves pretty fast. If you don't stop and look around once in a while, you could miss it". Let's not miss this opportunity.